Arne Giske Host of the Millennial Entrepreneur Podcast and Founder of the Millennial Entrepreneur Community invited our team to participate in a fundraising campaign to benefit the victims of hurricane Harvey. Special thanks to him for his leadership. 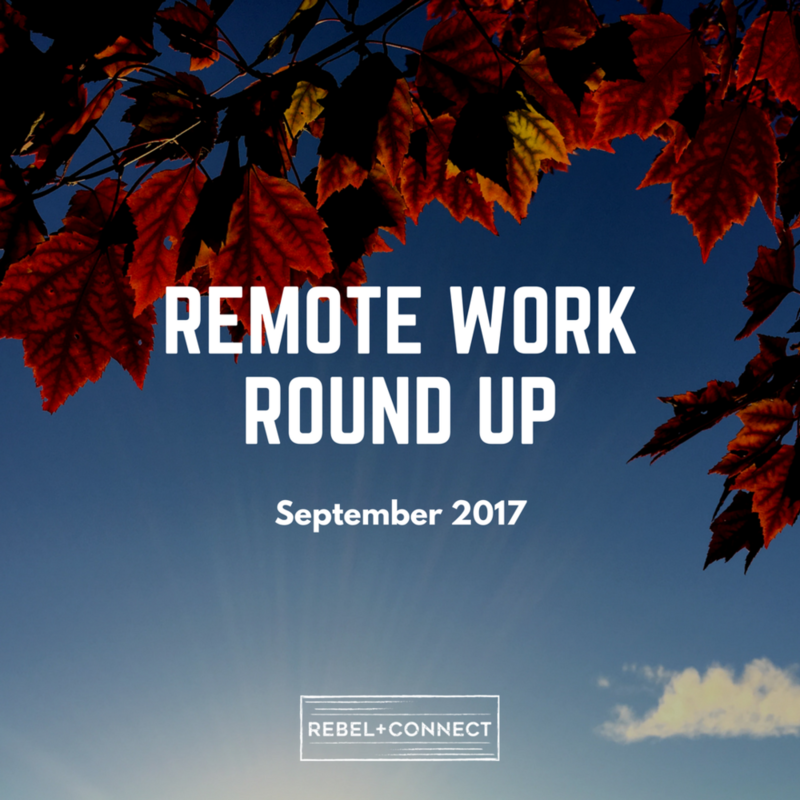 Starting on September 12th, 2017 we hope to be your one stop shop for remote work gear. We’ve rounded up the best home office, digital nomad, Saas, adventure gear, travel, learning, and essentials. Just one way we’re working to enhance your remote work experience. Slack is hands down the best chat app on the market. With search, file sharing, voice calls, tagging, direct messaging, and endless bots and apps there is no limit to how your team can customize Slack to enhance workflow. Thanks to our partnership with Slack you can now gain a $100 credit when you sign up through our affiliate link! Now exceeding 100 members and growing everyday, we decided to liven things up a bit. Remote Work Think Tank will now feature pop up episodes of Think Tank Live. Expect appearances by our co-founders, group members themselves, and the occasional special guests! We are now accepting guest blogs! Article submissions can be made here. Will you be our next podcast guest? If you have an idea, product, or service that can benefit remote leaders and their teams, reach out and let us know! Pitch you episodes idea here. We are gearing up for our first annual live event. Focusing on connection, this event will combine the professional content of a conference and the culture of a retreat. If you have not already filled out the survey and want to make your requests known, click here. This event is going to be amazing! More details to come. Andy Wolber of TechRepublic suggests you read No Office Apps by Michael Sliwinski, CEO and founder of Nozbe, Remote: Office Not Required by Jason Fried and Dave Heinemeier Hansson, founders of Basecamp, The Ultimate Guide To Remote Work by Wade Foster, CEO and founder of Zapier, and The Year Without Pants: WordPress.com and the Future of Work by Scott Berkun. Alison DeNisco of TechRepublic urges you start small, hire the right people, keep in touch, avoid micromanaging, and create connections. Rhucha Kulkarni of HR Technologist advises you to develop trust, communicate openly, make performance standards clear, create opportunities to connect, and clarify policies. Annamarie Mann of The Gallup Poll warns against failing to recognize or praise good work, talks to remote workers about career goals and personal growth, and provides opportunities for co-workers to connect. Andrea Loubier, Contributor of Forbes, interview leaders from both organizations to reveal the importance of chat apps, such as Slack, for real-time communication and video platforms, such as Zoom, for recurring team meetings. Jason Downes of Management Today believes that communication is key. He also recommends regular check-ins while warning against micromanaging, encourages finding strategic ways to maintain team rapport, and points to new technology as a valuable resource. Steven Williams, Contributor to Entrepreneur, discusses casting a wide net, adjusting for time zones, creating a watercooler commons, and staying organized as vital to effective remote startup management across time zones. Our very own Charlie Birch, discusses the concept of and need for cultural competency when leading remotely. Cath Everett of Personnel Today answers this important question highlighting the importance of virtual updates and team building efforts, while framing a global talent pool as a primary benefit. Jennifer Post, Business News Daily Contributor, names proactive communication, translation of company culture, and community building as the most important skills trainings for remote leaders. Nicholas Pirollo, Contributor at Forbes, discusses the importance of planning as you transition to a remote team model. Specially, polishing your operational procedures, hiring process, and on-boarding protocols. Anna Johansson, 3p Contributor, explains how remote work increases team member health, reduces environmental impact, and increases company wide productivity. Thomas Kuegler, Contributor at HuffPost, explores how remote work is helping female professionals avoid burnout. Alison DeNisco of TechRepublic explores how female led remote teams are changing the influence of women in tech. Julia Gable of IT Brief interviews Amy Barzdukas of Polycom, a leader in the tech space, about her experience of leading a remote team. Remote Working Programs: True Flexibility or Masked Rigidity? The YL Editorial Board questions if remote work fuels expectations of constant availability and contact between employer and employee. Forbes reminds us to be wise about remote work, celebrating the pros without ignoring the cons. Daniel B. Kline keeps it real on The Motley Fool, explaining that working remotely is not always relaxing days at home, world travel, and hip coffee shops. SRHM explores the question, who is responsible for remote worker safety, employers or employees? If it’s to be the employer, remote workers may be forced to give up some of their freedoms. Does Remote Working Create An Empathy Gap? Francois Badenhorst, Deputy Editor at Business Zone, wonders how remote work impacts empathy.